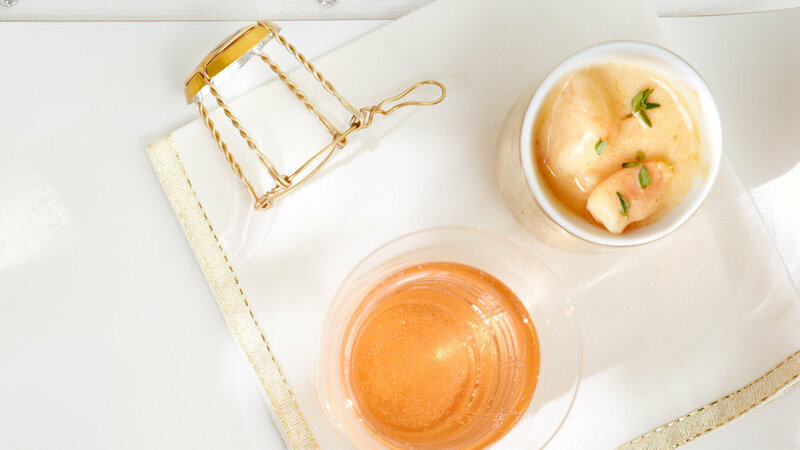 At this swank affair, pair the right sips with the appetizers, ranging from caviar to steak-and-mushroom skewers. 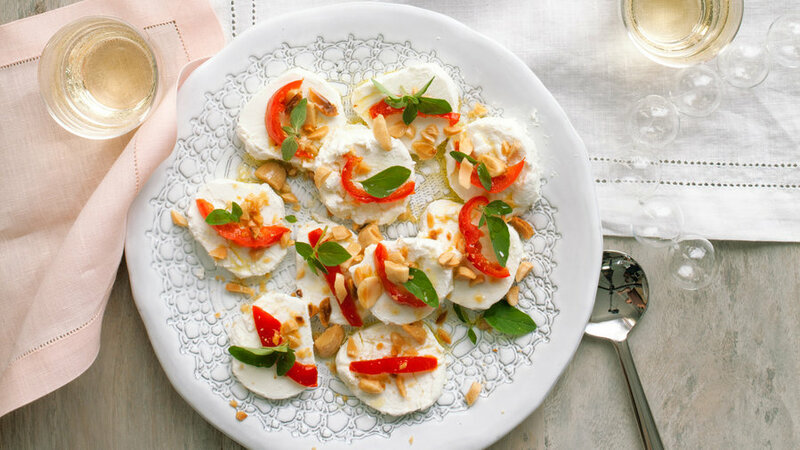 This elegant take on salad makes the perfect starter. Just slice and serve a few refined ingredients and you're ready to mingle. 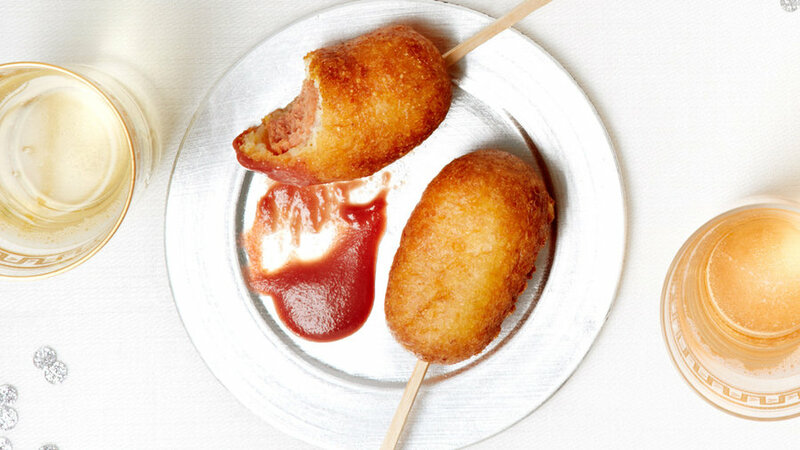 Mini-skewers are the perfect party food. This earthy combination holds up well to a bold red. 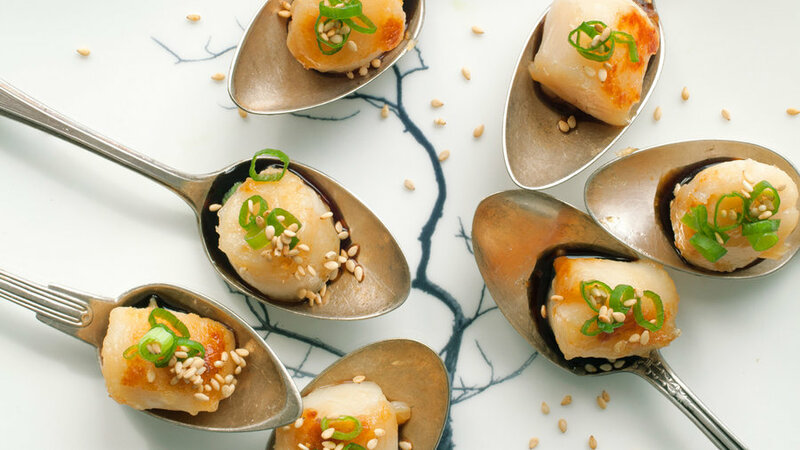 You can make these tasty scallops in a flash, leaving you plenty of time to hang out with your guests. The latest craze? Pairing craft beer with food. 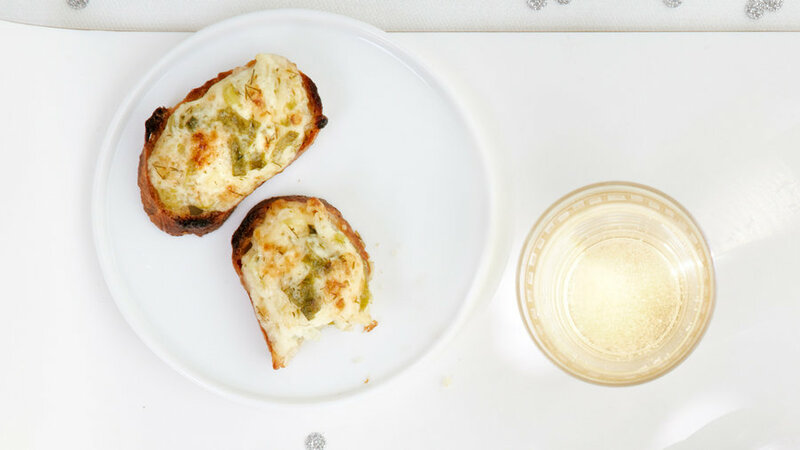 Try our suggested styles for a very grown-up take on bar bites. Arrange 1/4 lb. 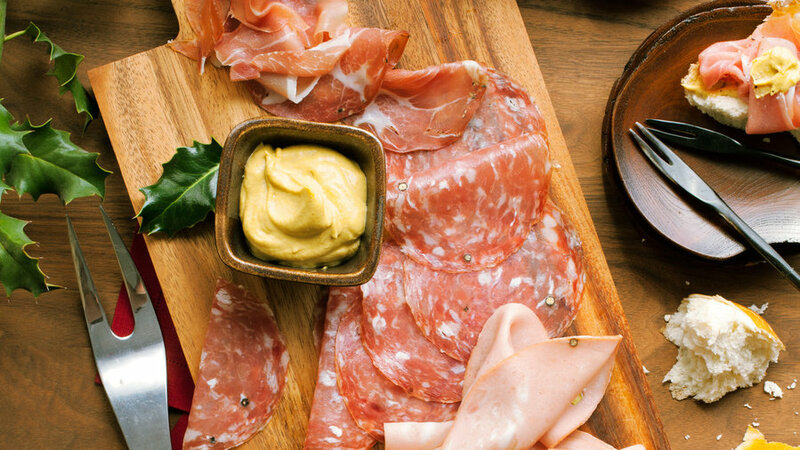 each thinly sliced hot coppa, mortadella, prosciutto, and soppressata on a platter. Serve with Dijon mustard and soft pretzel rolls. 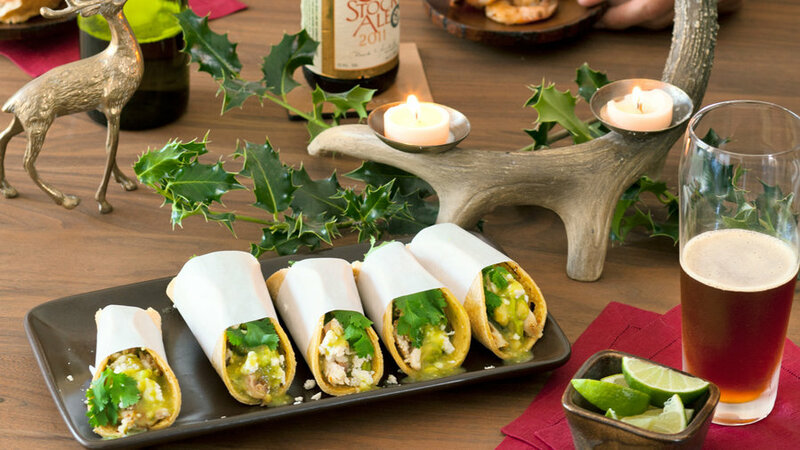 These finger-food tacos are deceptively easy to make. 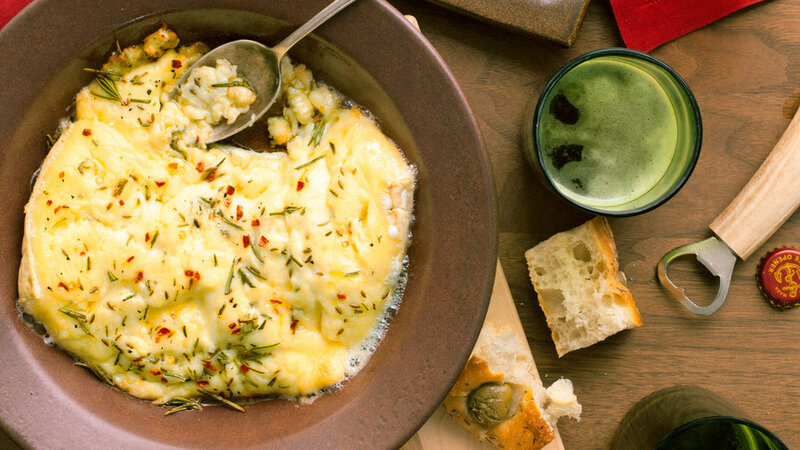 This flavorful alternative to a baked Brie will have your guests coming back for more...and more. 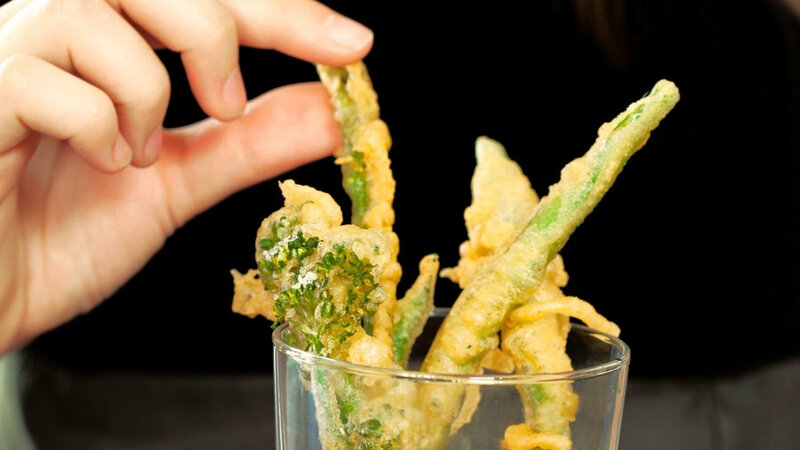 Move over, fries--these doubly crunchy veggies are the perfect complement to a crisp beer. 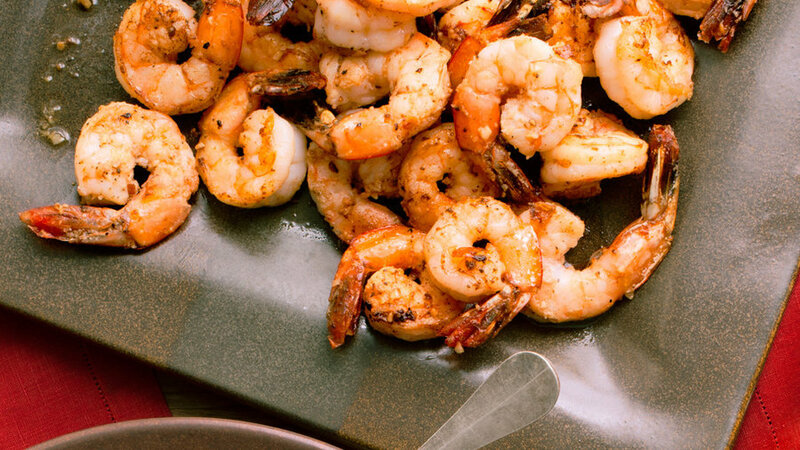 These zesty shrimp would also go well with white wine, but we love the dish with a cold pale ale. 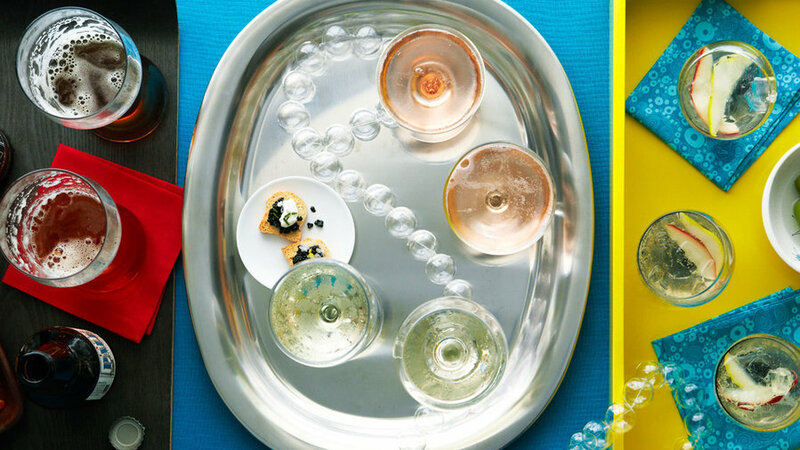 This party brings back the appetizers of the ’50s with modern twists. 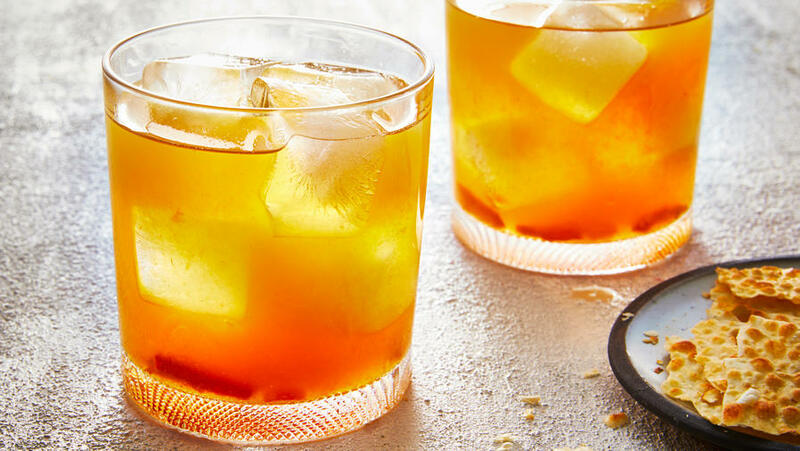 If you want to offer more drink options besides punch, mix up some Manhattans and martinis for your guests. 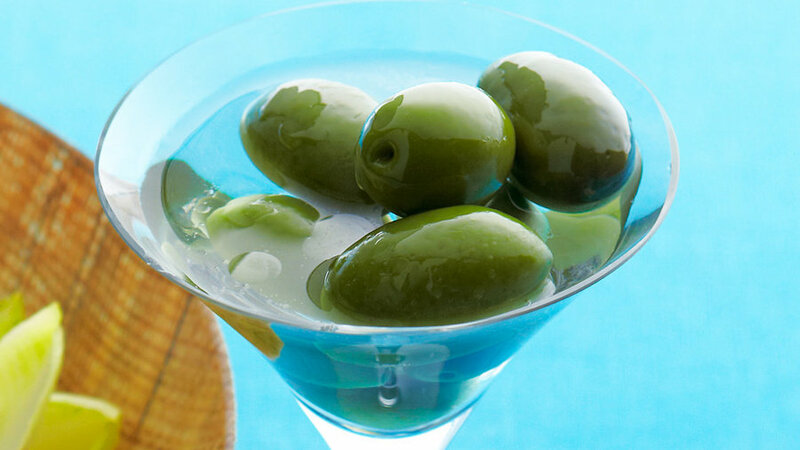 The martini as finger food--so classy. 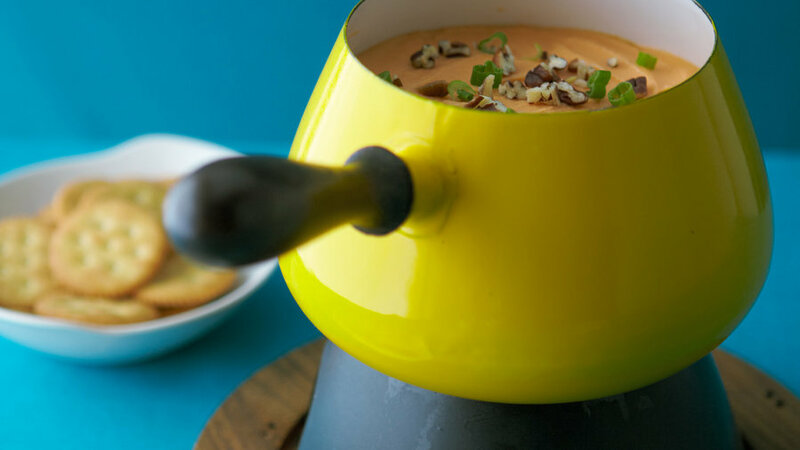 Bring back fondue, the ultimate party comfort food. 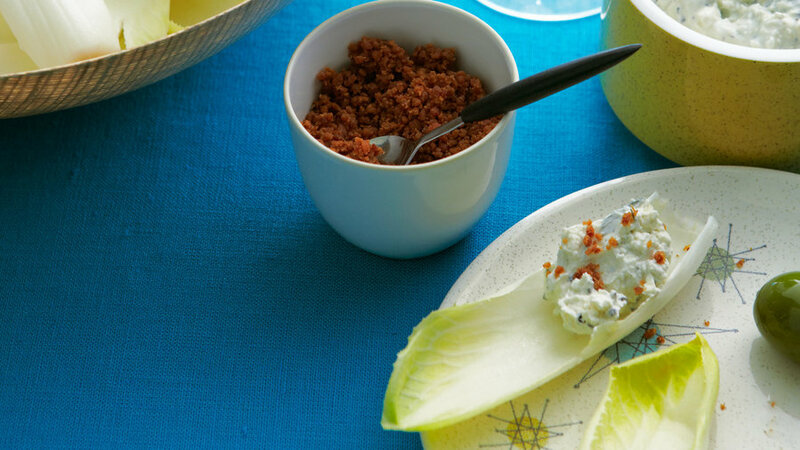 The iceberg wedge salad gets reinvented. 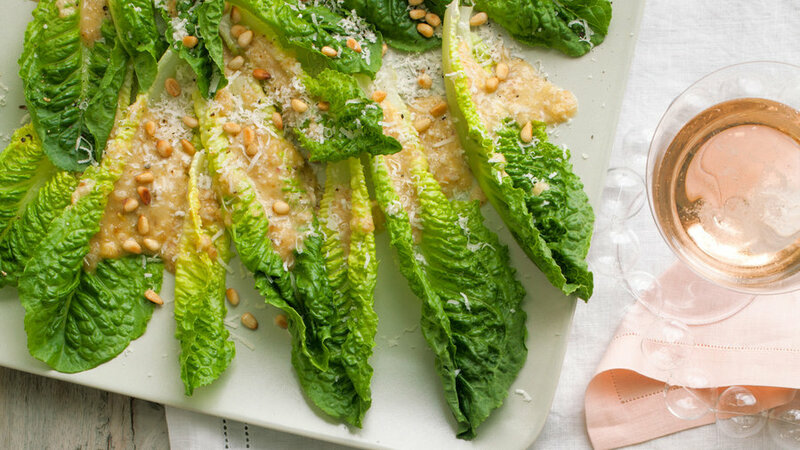 Endives are the perfect vehicle for a condiment as delicious as this one. Lay about 25 large salted potato chips on a serving plate. 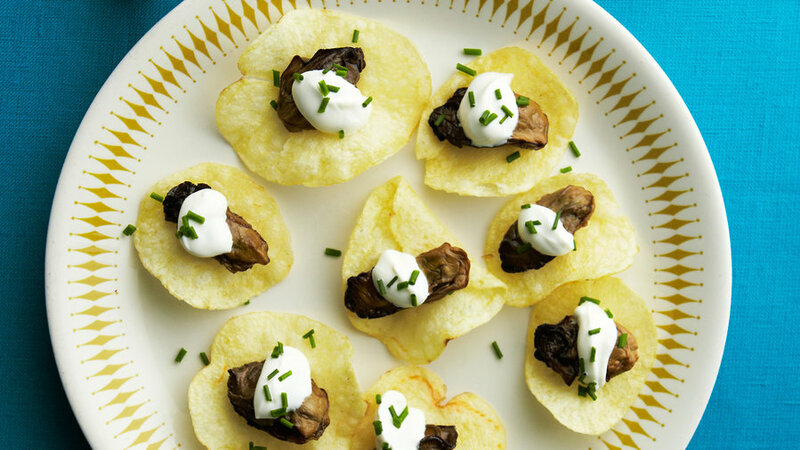 Top each with a smoked oyster, cut in half if large, from 2 cans (3 oz. each); about 1/4 tsp. sour cream; and a sprinkle of chopped chives. 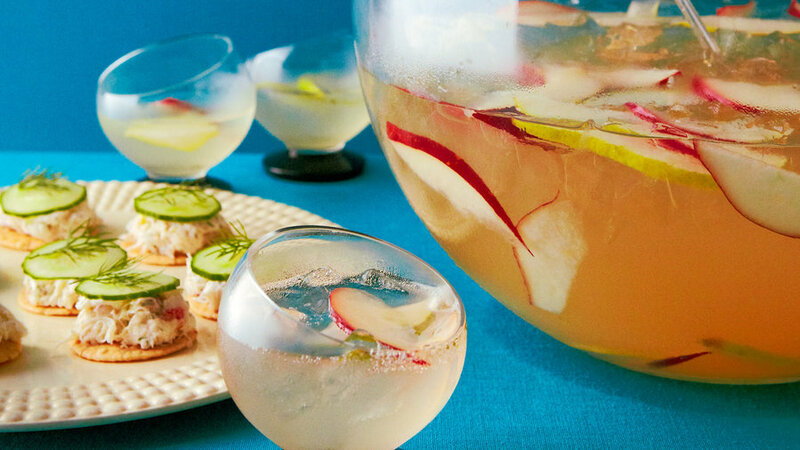 Pair your apps with this fizzy and fruity cocktail. This menu tips its hat to tried and true appetizers and sips, with a decidedly Western spin. These spicy sausage-filled mushrooms can easily be made ahead and then cooked and served just as guests arrive. We liked these with a bit of a kick, but you can easily adjust the spices to make them sweeter or spicier to suit your guests. 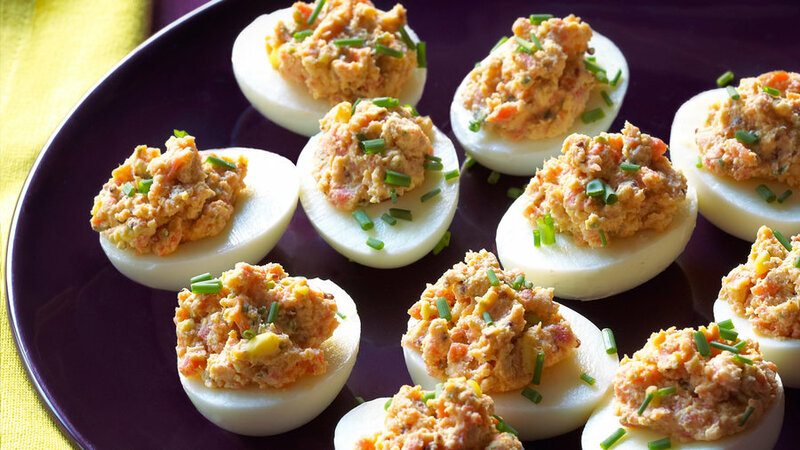 Deviled eggs get a holiday upgrade with the help of smoked salmon and crème fraiche. Everyone loves chilled shrimp. 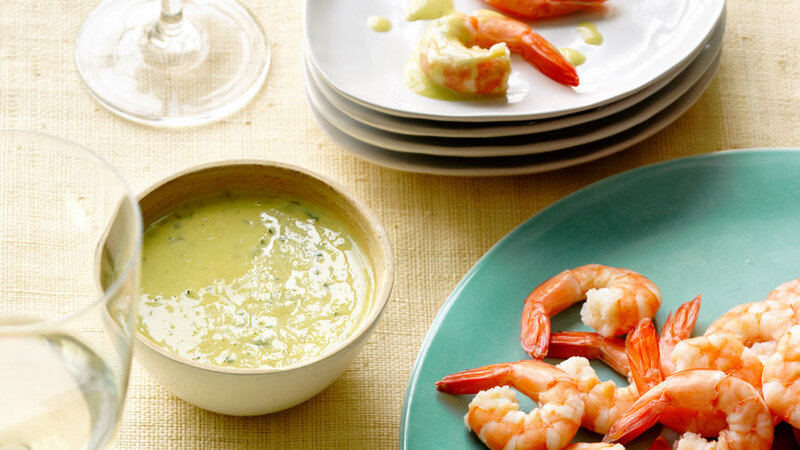 Instead of lemon wedges, try serving it with this lovely and flavorful dipping sauce. 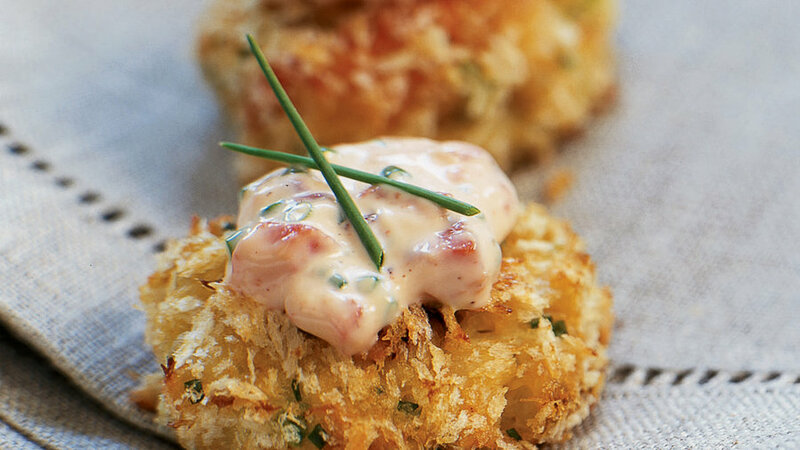 Crab cakes are a fantastic holiday appetizer, since Dungeness crab is in season. We love to serve these bite-size cakes at parties. 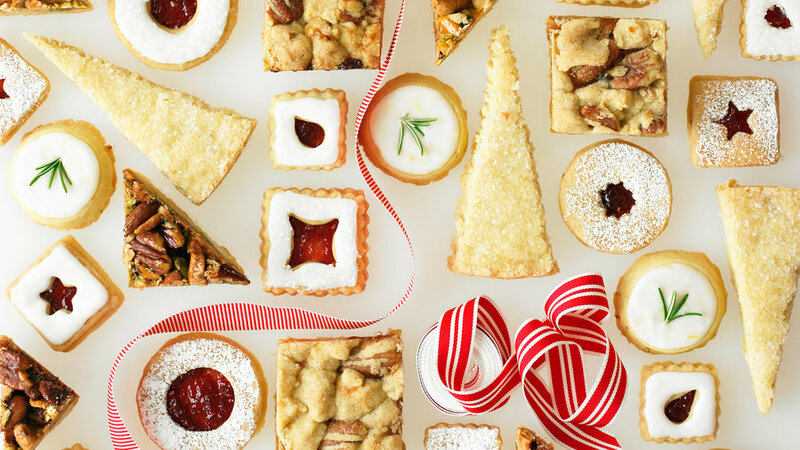 Those who harbor a sweet tooth will love this decadent party menu. 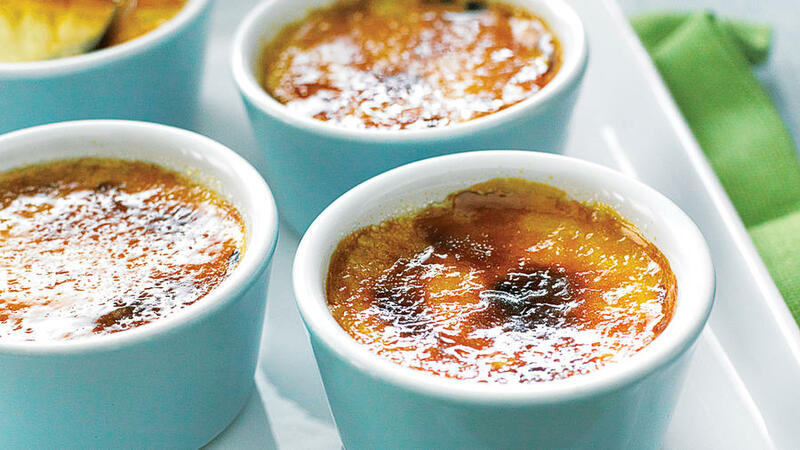 Winter is prime citrus season so our lightly scented crème brulee is a perfect way to get more of it into every winter meal. Warning: These candies are very addictive. 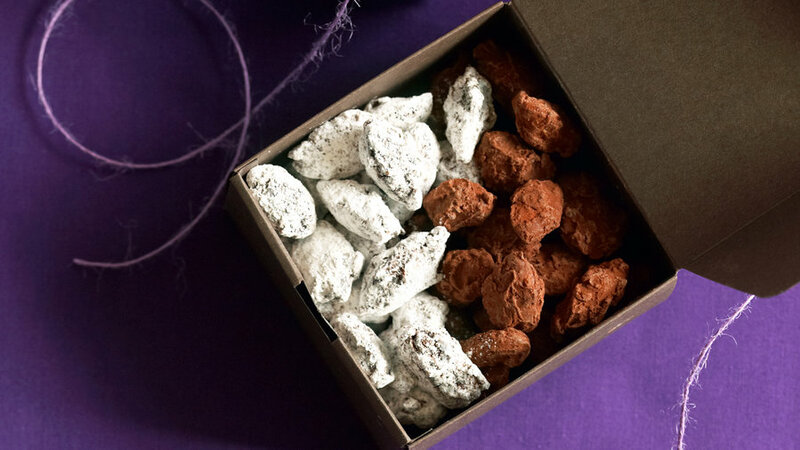 Therefore, we suggest you make a big batch and give some as gifts, serve some at your holiday party, and keep a small stash just for yourself. For emergencies, of course. The coffee flavor is subtle and works nicely with the rich chocolate. 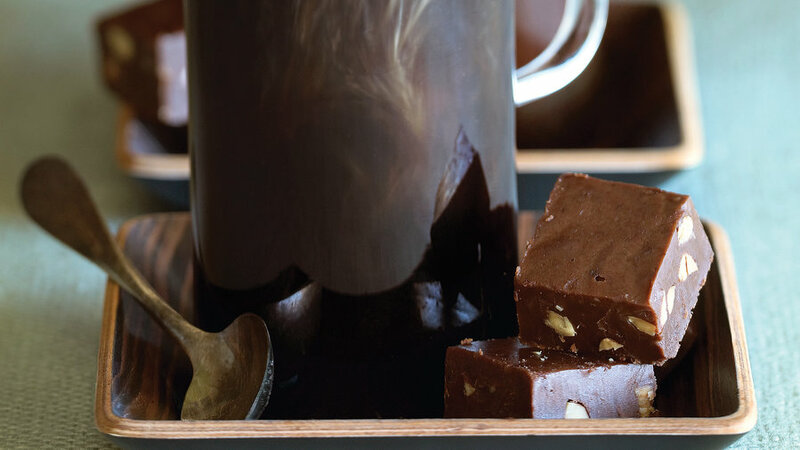 Almonds are optional but we love the bits of crunch with the creamy fudge. 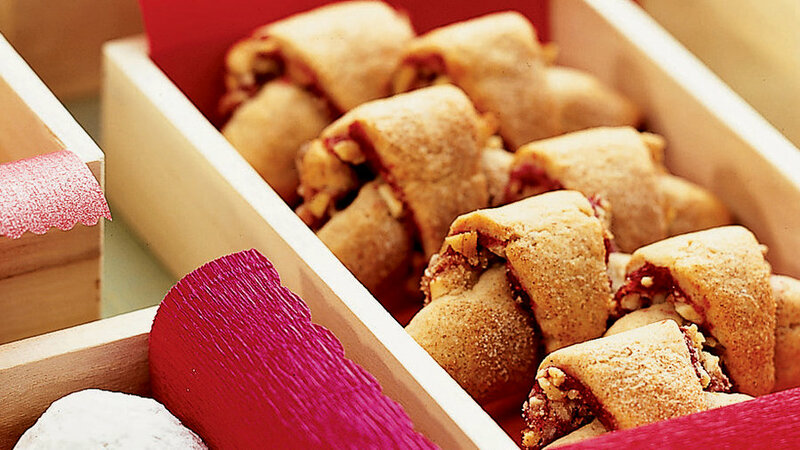 Rugelach is a classic holiday cookie. 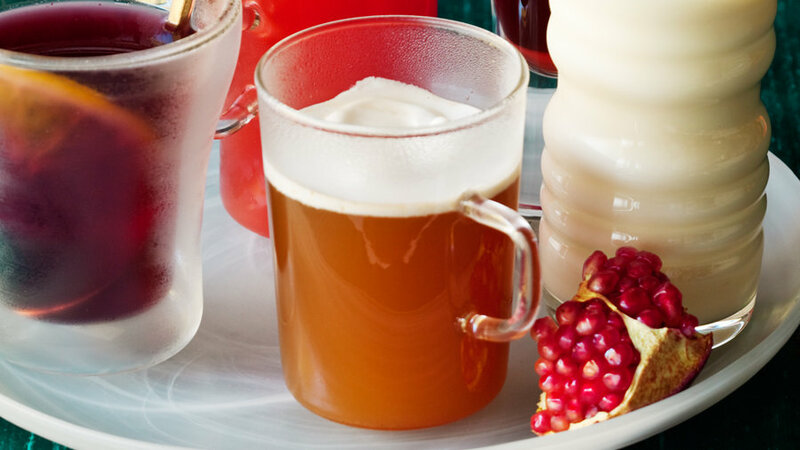 We love this cranberry version, which makes it even more festive. Countless holiday toasts are fueled by sparkling wine, yet most partygoers don’t pay much attention to what’s in the glass they’re raising. But look deeper into the bubbles and you discover two terrific things: First, sparklers are fantastic with food. Their fairly low alcohol levels, bracing acidity, and texture from effervescence make the most of flavors and dishes that challenge many still wines: salty, fried, and spicy fare, for example, or soup. Second, sparkling isn’t just one kind of wine. 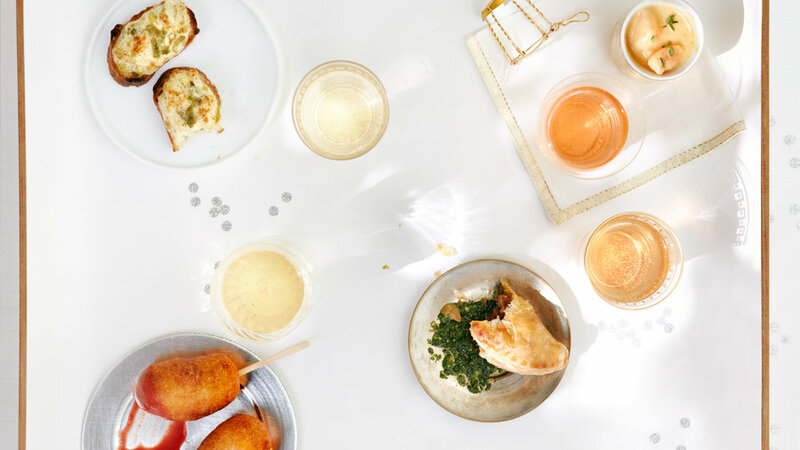 The brut (dry) category we drink most often in this country offers four styles that taste very different from one another, each working its own special magic with the menu. 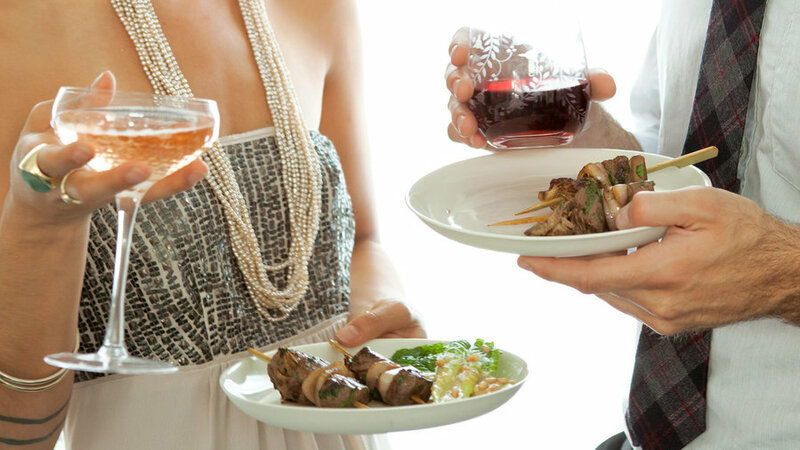 We’ve designed dynamite appetizers to be spot-on matches for each wine style. 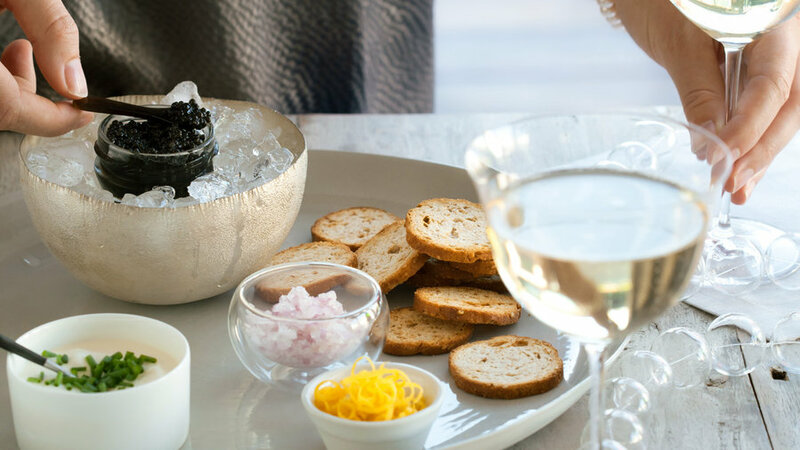 Of course, no harm’s done if your guests sip and nibble outside the recommended pairings; bubbly’s food friendliness makes any combination here a good bite. 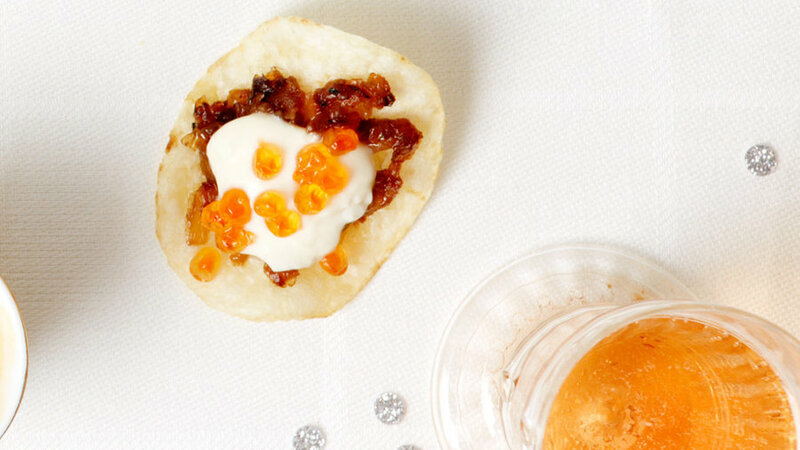 Potato chips and bubbly are a stealth match; caramelized onions pull out the toastiness in the wine; the tang of the cream works with the wine’s acidity; and the salmon roe adds brininess (and the right color). Set out the components and let guests build their own stacks. Pair with: J Brut Rosé (Russian River Valley; $38); Laetitia 2009 Brut Rosé (Arroyo Grande Valley; $30); Scharffenberger Brut Rosé “Excellence” (Mendocino County; $23). The Chardonnay in a brut blend pairs well with the corn and the mustard, while the Pinot Noir builds bridges to the hot dog and the cranberry in the dip. Make the Cranberry Mustard before you start the dogs. Pair with: Domaine Carneros by Taittinger 2009 Brut (Carneros; $28); Michelle Brut (Columbia Valley; $14); Roederer Estate Multi Vintage Brut (Anderson Valley; $23). Pair with: Iron Horse 2008 Ocean Reserve Blanc de Blancs (Green Valley of Russian River Valley; $45); Rack & Riddle Blanc de Blancs (North Coast; $20); Schramsberg 2010 Blanc de Blancs. Soup is a hard match for wine—liquid on liquid. Sparklers fix the texture problem, with bubbles for contrast. Here, the red fruit in a rosé really pops with the sweet shrimp and tames the heat of the cayenne. And bubbly’s characteristic yeastiness echoes the slightly darkened roux thickening this bisque. A Pinot Noir–based blanc de noirs is more than a match for beef, and the wine’s mix of sweetness, brininess, and spiciness works on all levels with the raisins, olives, cumin, and chile. 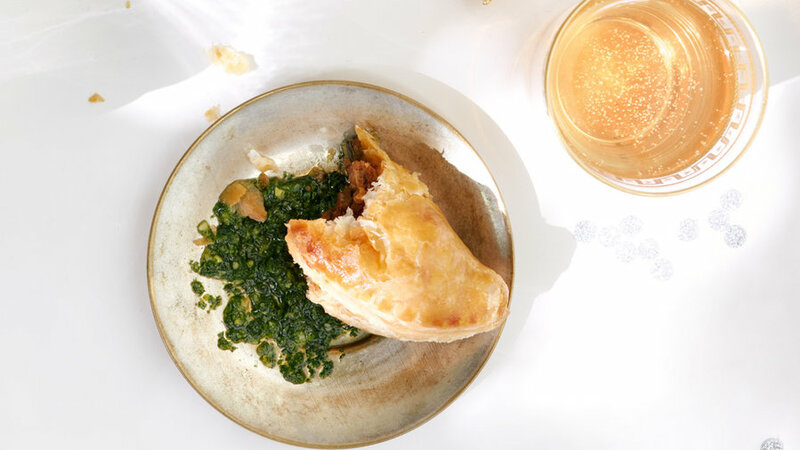 Make the Chimichurri before you start the empanadas. Pair with: Gloria Ferrer Blanc de Noirs (Carneros; $22); VML 2007 Virginia Marie Lambrix Blanc de Noirs (Russian River Valley; $50).